Arguably the best day tour from Naples, this excursion promises to be a wondrous experience filled with rich history, fascinating culture and breathtaking visuals. First, there’s the UNESCO World Heritage Site - The Ruined City of Pompeii. A site visited by nearly 2.5 million visitors, Pompeii is fabled in history for the double-edged tale of Mount Vesuvius, an active volcano. The site was discovered in 1748 before which it was believed to be a myth. Walking through the streets of Pompeii is like taking a stroll along Earth’s timeline and venturing into history. It’s nothing short of fascinating, eye-opening and exciting. Experience the ruins, and learn about the times gone by with a professional archaeologist guide as you explore the city. Next, there’s the small matter of Capri - regarded as Italy’s most picturesque island. Explore the scenic island and take in the many attractions including the Gardens of Augustus, Piazzetta - The Little Theater of the World’ and more as you stroll through the streets on a guided tour. This tour really has it all: history and scenery, devastation and creation, water and land; you cannot afford to miss it! 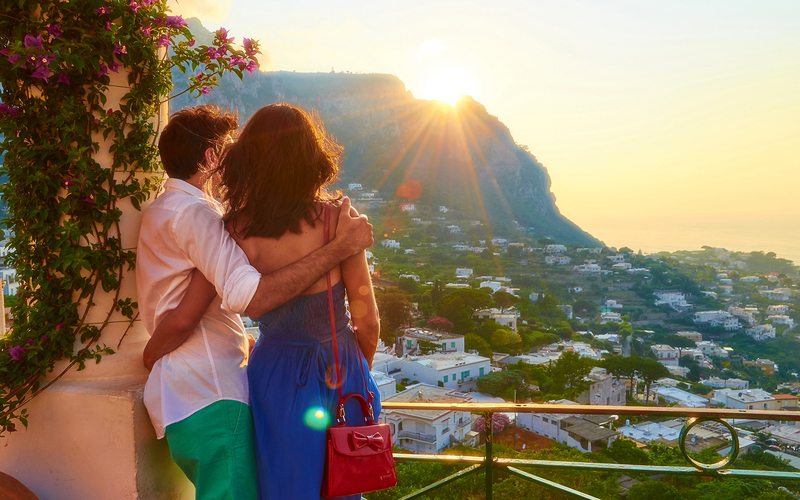 Get picked up from your hotel/apartment in central Naples and proceed to make the most of your day out of the city. On this tour, you will get to experience the top two day-trip attractions from Naples, Capri and Pompeii. 30-minutes away from Naples lies the picturesque island of Capri. 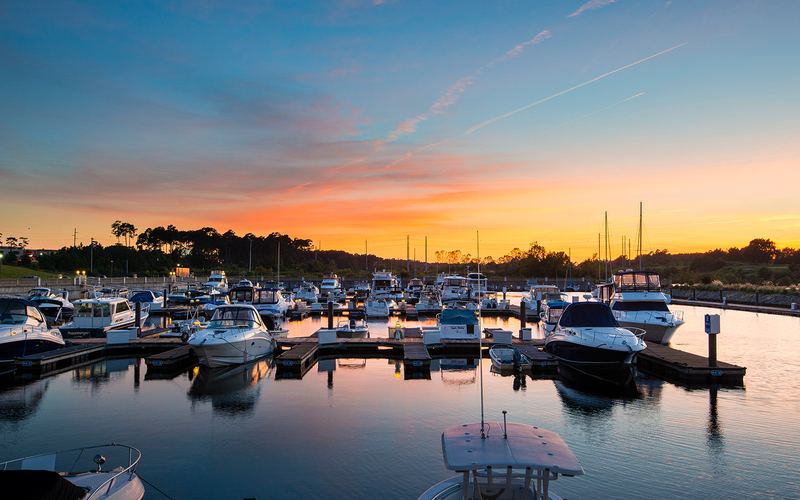 Board the hydrofoil from Naples and dock at the Marina Grande on the charming island. 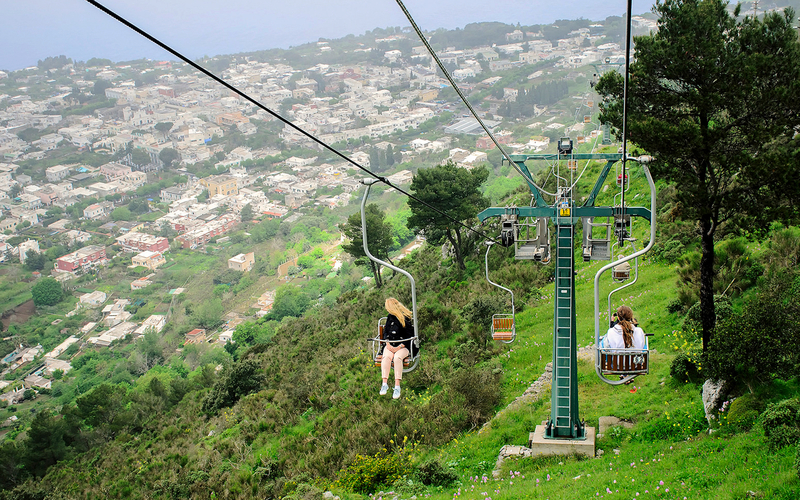 Then, take the funicular to the top into the quaint town of Capri. Your guide will take you on a tour of the town and its landmark locations including Giardini di Augusto, Faraglioni, Gran Caffe Vuotto, Piazzetta and more. Finish lunch and coffee and one of the local cafes before returning back to Naples for the next leg of the tour. Drive to Pompeii and get ready to take in an archaeological site unlike any other. Pompeii is a legendary site. Preserved with volcanic ash, the ruins are in near perfect state and the air seems to have a sense of grandeur to it. Explore the ruins with a guide and learn about the city’s tragic history and impact on the world. After your tour of Pompeii, it's time to head back to your hotel in Naples and look back upon the magical memories you’ve made on the day. 30-minute Hydrofoil journey to Capri from Naples over the stunning blue water of the Gulf of Naples followed by a funicular to the top of the island; two-ways. Hotel/Apartment pick-up and drop-off between the various attractions and back aboard an air-conditioned GT coach. The tour starts at 9 AM daily and goes on for a duration of 8 hours. Please ensure you are ready at least 15 minutes before your pick-up to ensure a hassle-free boarding process. You should be back in Naples by 5 PM. You will receive an email with your Capri and Pompeii Full Day Tour ticket voucher shortly. You don’t need to take a print of this. Just show the voucher on your mobile device along with a valid photo ID when your tour guide comes to pick you up. Please be ready at least 15 minutes prior to ensure a prompt and timely pick-up.